A Gift Idea For The “Hard-To-Buy-For” Person On Your Christmas List-How About A Worm Farm? Everyone has that one “hard-to-buy-for” person on their Christmas List. Still struggling with what to get that person? Have you ever thought about a worm farm factory and a pound of red wigglers? What? I bet this is something that person doesn’t have and doesn’t expect to get for Christmas. Give a gift to that special person that will keep on giving for years to come. What a great idea! One of the best worm bins is The Worm Factory 360. 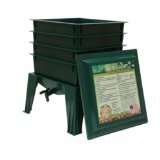 This worm bin is a 4-tray style and is expandable. It comes in green or black and can be used anywhere. It can be kept in the kitchen, basement or any other place that is convenient to recycle household waste. The worm farm can also be kept outside because it is weatherproof. The Worm Factory 360 comes with a DVD instructional guide and an accessory kit with the basic tools needed to take care of the worm farm. Include a pack of Red Wiggler Composting Worms in your gift. Red wigglers are the worms that are best suited to recycle waste in the worm bins. 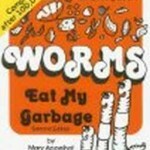 The worms can be purchased in 1, 2 and 5 pound packs. A one lb. pack would be sufficient to get started with worm composting. 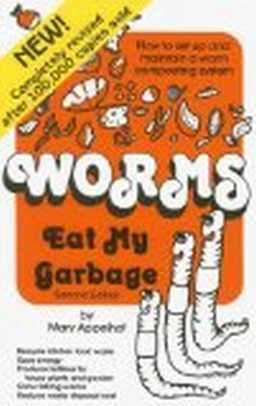 Enclose a copy of the book “Worms Eat My Garbage: How to Set Up and Maintain a Worm Composting System” in your Christmas gift. This guide tells you exactly how to recycle your food waste and turn it into a nutrient-rich food for your plants and garden. The book has everything in it that you need to know about worm farm composting. The Worm Factory 360 and a pound of Red Wiggler Composting Worms will be the perfect vermicomposting gift for that “hard-to-buy-for” person this Christmas. This unique present will no doubt be talked about for many Christmases to come. What’s So Great About Worm Farming?